LaGina M. Frazier, Gustav-A. Paffenhöfer, and Marc E. Frischer all collaborated with Tina and were cited on the poster. In addition to being a valued member of the Skidaway Institute science team, Tina is a grad student at Savannah State. A world threatened by extreme weather, invasive species, emerging disease and increasing uncertainty needs the scientific capacity to face those challenges. Natural laboratories around the country, which have been placing researchers on the front lines of understanding and managing environmental change for a century, form the building blocks of that capacity. The Organization of Biological Field Stations and The National Association of Marine Laboratories has released a report showing how scientists in communities across the continent respond to emerging questions in flexible and nimble ways, and are poised to work together to contribute to global solutions. 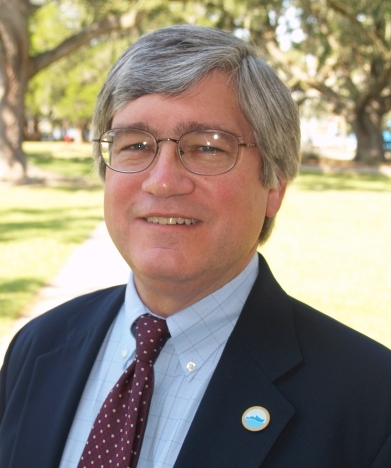 The report was supervised by a steering committee of seven scientists, including Skidaway Institute of Oceanography director James Sanders. 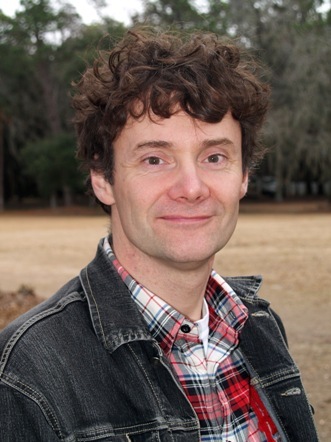 Also, Skidaway Institute scientist Jens Nejstgaard participated in the workshop that contributed to the report. will stimulate complementary research at many more field stations and marine labs. However, only a small fraction of FSMLs participates in these broader-scale scientific initiatives. NEON and LTER represent ten per cent of the available long-term, place-based, multiple-investigator environmental research sites. The report, “Field Stations and Marine Laboratories of the Future: A Strategic Vision,” is based on a national workshop and survey and on input from the broader scientific community. The report recommends creating a Network Center to catalyze broader-scale science and to facilitate participation in coordinated environmental efforts. For example, a stronger network of FSMLs could contribute to evolving national and international programs such as the sustained National Climate Assessment or the Group on Earth Observations Biodiversity Observation Network. Field stations and marine labs have the flexibility and the logistical and intellectual capacity to support novel experimental approaches across tremendous ecological diversity. Collectively, they represent billions of dollars of investment in research infrastructure, including and tools, and they have trained generations of environmental scientists. This report is a first step in making sure the nation’s investment in field stations and marine labs continues to meet the dynamic and changing needs of scientists, students and the public they serve. The National Association of Marine Laboratories (NAML), organized in the late 1980’s, is a nonprofit organization of over 120 members employing more than 10,000 scientists, engineers, and professionals and representing marine and Great Lakes laboratories stretching from Guam to Bermuda and Alaska to Puerto Rico. The member institutions of the National Association of Marine Labs work together to improve the quality and effectiveness of ocean, coastal and Great Lakes research, education and outreach. Through these unique national and regional networks, NAML encourages ecosystem-based management, wise local land management and the understanding and protection of natural resources. The Organization of Biological Field Stations (OBFS) is a 501(c)(3) nonprofit that represents field stations throughout the world. The mission of OBFS is to help member stations increase their effectiveness in supporting critical research, education, and outreach programs. OBFS pursues this goal in a manner that maximizes diversity, inclusiveness, sustainability, and transparency.